XT870 is a kind of the multi-functional engineering machinery incorporating excavating and loading into an organic whole. The digging device can be pushed in the integral frame if necessary. Adopt the engine which is powerful and with low maintenance. Reach Europe III exhaustion standard. 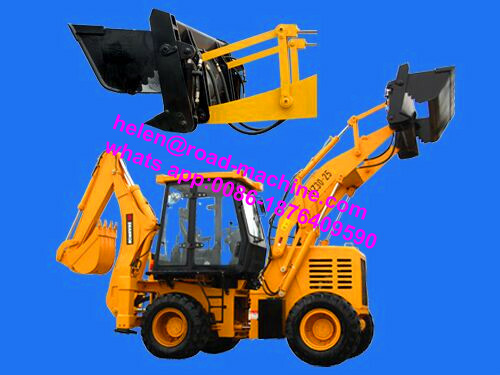 It has the high power and good performance ability ,The key parts, the bridge,the hydraulic system,etc.Adopt the imported components,which have improved the dependability of the complete machine. Traveling has been improved by means of the highest speed.It is usually used in the narrow ground because of the small turning radius.4-wheel drive bring it high drawbar force. Adopt the professional integral frame,which improves the operating stability. With imported hydraulic system,the working ability has been improved. Advanced operating system, high control accuracy. The whole day-lighting closed driver′s cabin is furnished with the system of the air conditioner,ROPS system.It is safe and comfortable,and the visual field is broad.It adopts the sound insulation,the heat insulation and shock attenuation, which improved the comfortableness of the operating environment. 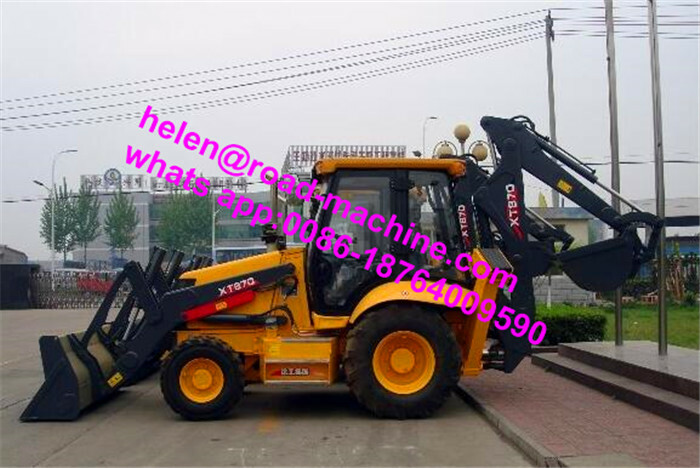 The digging device can be pushed to left or right side if necessary ,so it can increase the digging area ,while the complete machine needn′t move. 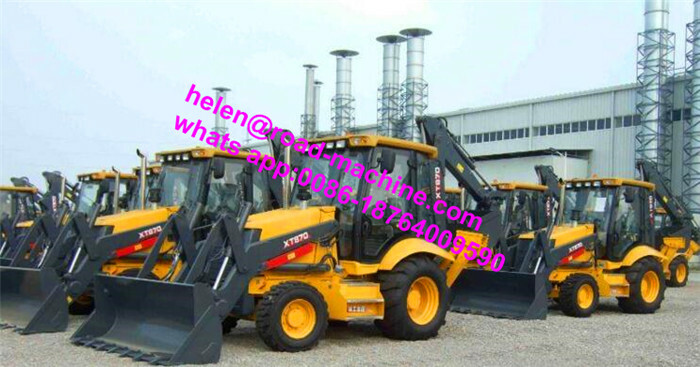 Looking for ideal XT870 Backhoe Loader Manufacturer & supplier ? We have a wide selection at great prices to help you get creative. 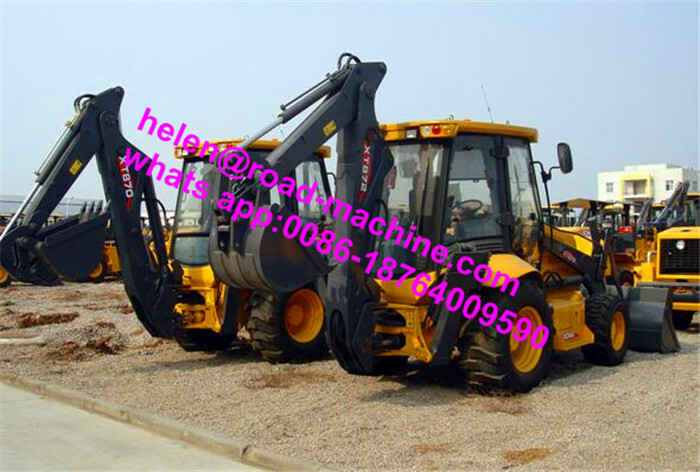 All the 82kw XT870 Backhoe Loader are quality guaranteed. 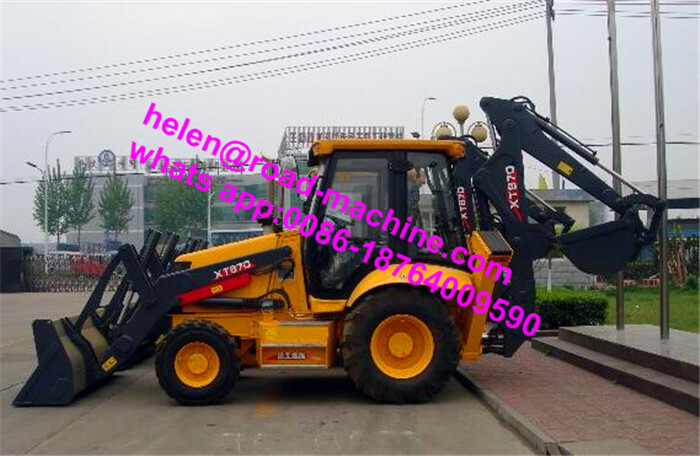 We are China Origin Factory of XCMG XT870 Backhoe Loader. If you have any question, please feel free to contact us.